How does a ‘smart factory’ send its goods? While the answer is logically through a ‘smart supply chain’, that may not be the case just yet. The APPMA is presenting the 2-day inaugural conference, focusing on the theme “Smart. Connected. 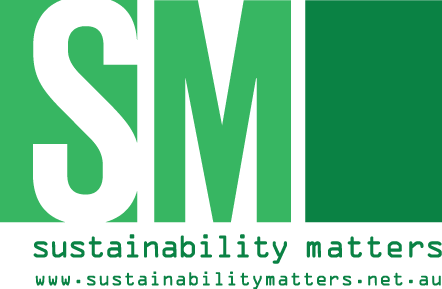 Sustainable.”, from Tuesday 26 March to Wednesday 27 March during Packaging and Processing Week 2019. Limited tickets are still available. A smart factories mentor and Adjunct Professor of Engineering at UTS, John is responsible for industry liaison in smart manufacturing and Industry 4.0. He has worked with manufacturers of all sizes to use smart-factory concepts, witnessing the positive changes on profitability, longevity and even culture. John has worked with industry bodies, as well as brand names including Coca-Cola, Sanitarium, Frucor Beverages, Parmalat, Tomago Aluminium and CSR. John’s keynote will focus on demystifying the ‘smart’ terminology, helping business to understand how to start moving towards Industry 4.0. John will also explain the differences between IoT and IIoT, what Industry 4.0 is and why most businesses can’t get past Industry 3.0. His session will also include some very practical tips to begin a successful transition to being a smart factory. John will then facilitate a panel discussion in the processing and packaging stream around taking the next step and implementing Industry 4.0. This discussion will be facilitated by John Broadbent, with panellists Richard Roberts, MES Operations Manager and senior consultant at ZI-ARGUS; Paul Barber, Director of Lighthouse Systems; Michael Parrington, GM of licensing and technology at Pact Group; and Alan Spreckley, Global Industry Segment Manager (Food and Beverage) – Robotics, ABB. The panel will talk through evidence showing that manufacturers who implement smart factory projects have reaped many benefits, such as increased profits, efficiencies and supply chain visibility — along with traceability and product genealogy — higher customer satisfaction and reduced waste. The Q&A opportunity will be valuable to those wanting to know how industry 4.0 actually works, what technologies are needed and practical steps to take to begin. Peter’s strong understanding of how automation and robotics can be effectively integrated into businesses comes from his broad experience in technology, industrial automation and engineering. Peter will look at the focus Industry 5.0 puts back on humans, exploring collaborative robots’ place working with humans rather than replacing them. He’ll also cover how industrial automation, including robotics, has allowed large productivity and quality advancements, while simplified automation has made it more accessible for smaller manufacturers. Darcy is highly versed in blockchain: his current research applies economic and entrepreneurial theory to governance and economic development of blockchain (and other distributed ledger technologies), including in supply chains. As an institutional economist, he focuses on the economics and political economy of blockchain technology. Many delegates may know that blockchain is more than a cryptocurrency technology, which is already being applied in health care, identity and democratic voting. Darcy’s session will explore how blockchain might transform supply chains and logistics, explaining what blockchain is and how it is beginning to impact the economy and society. Darcy will address blockchain’s big opportunities to change the way trade occurs, by increasing the quality, quantity and transparency of information about goods as they move. The AUSPACK Business and Industry Conference will be held at the Melbourne Convention and Exhibition Centre, Tuesday 26 March to Wednesday 27 March, 2019. To register, and for more information, visit https://www.auspack.com.au/business-and-industry-conference/.